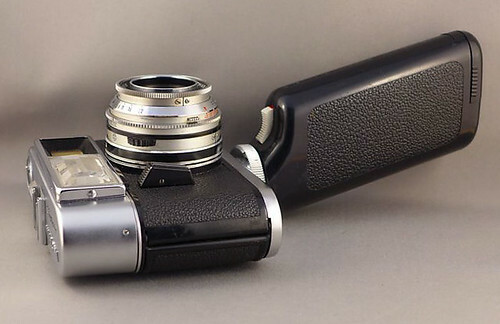 The Vitrona is 35mm viewfinder camera introduced c.1964 by Voigtländer. 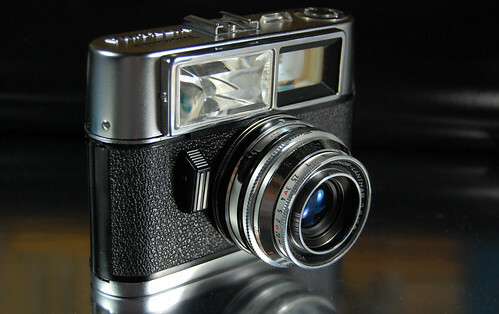 It was possibly the first camera with built-in electronic flash. The batteries and part of the electronics for the flash are housed in a special pistol-style grip which fits underneath the camera attached via a bayonet. Although a higher price range model, the Vitrona did not have a coupled rangefinder but rather a three-zone focusing system. This page was last edited on 21 August 2016, at 11:53.